Wake up to stunning sea views every morning in our double or twin superior rooms. 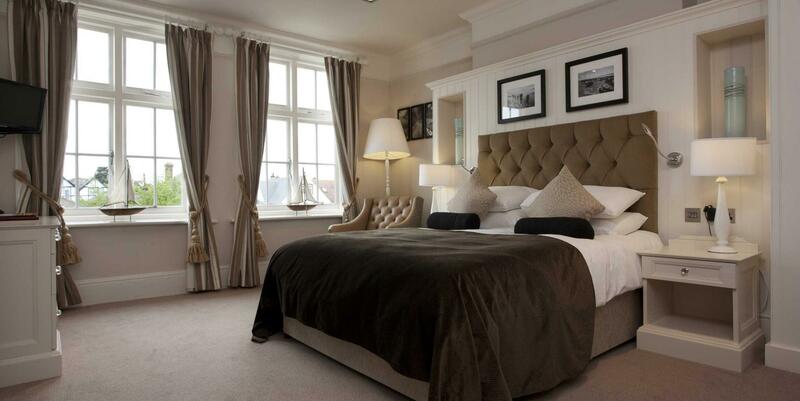 Enjoy a stylish stay in Whitstable in a beautiful standard double room with sea view. Our standard Double Rooms offer great value Whitstable accomodation. Comfortable and well equipped, our Family Rooms are ideal when travelling with children. When you want to get away from it all and enjoy a luxurious break on the Kent coast, book in at The Marine - where beautiful boutique bedrooms promise a blissfully relaxed stay. There are 30 stunning rooms here, with more than half of them offering sea views. Many provide private balconies too - inviting you to throw the doors open each morning and enjoy your coffee looking out on the ocean. All rooms are superbly appointed, and beautifully styled to represent the best of traditional charm and contemporary style. You’ll find little luxuries at every turn here, with fabulous fabrics, flatscreen TVs and free tea and coffee in every room. View our sister hotels situated in Kent and the south east.